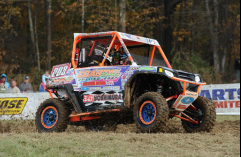 Round 5 of 6 of the South East Extreme UTV Side-By-Side Series. The Baja 250 is a 25 mile race on a closed course. This Baja style race will take place over (10) 2.5 mile laps. Our Baja races will test competitors and their machines endurance as they battle it out for the series points and the series cash. There will be plenty of places for spectators to see the action as races weave in and out of the woods and sail jumps. South East Extreme UTV Side-By-Side races will keep you on your toes and your adrenaline pumping so make sure to stay tuned and check back frequently for more details as the race nears.